Amal Mohamed’s face betrays no emotion as she explains what happened. Twenty-two years old, Amal lives in Shatila, a Palestinian refugee camp that lies on the outskirts of Beirut. Established in 1949 to house refugees that were expelled to Lebanon by Zionist forces during the Nakba, it occupies less than a square kilometer of land. It is best-known throughout the world for the massacre inflicted upon it in 1982 by the Christian Phalange militia with the aid of Israeli forces, but that is not the only source of its suffering. For years it has been plagued by overcrowdedness, unemployment, poverty, drug use, violence and hopelessness. It is the violence that angers Amal the most. Amal sits on a sofa in the living room of the house she has lived in her whole life. The walls are stained dark, and there are cracks winding their jagged ways across them. Above the front door is a small broken window that lets in a sliver of light. The floors are covered with scraps of paper, although Amal’s mother assures me this is only because it is cleaning day. She sits on the floor, peeling radishes for a salad she is preparing for Iftar tonight. On the wall above her hangs an engraving with the 99 names of Allah. It is just past noon, but three of Amal’s four brothers are sleeping, occupying the two bedrooms. It is Ramadan, and the weather is stifling hot. There is a single fan, whirring in the corner of the living room, and it makes the heat slightly less oppressive. But her brothers are not home simply because of the fast. Like so many young men in Shatila, they are without work. It is hard for Palestinians to find work outside the camp. For example, the Daily Star, a Lebanese newspaper has reported that there are dozens of occupations they have been barred from engaging in, including medicine, law and engineering. Amal tells me there are 72 such jobs. Others have put the number at 88. Even menial jobs can be hard to come by, as Palestinians are regularly discriminated against by many Lebanese. As a result most of the residents try to find work inside the camp. This, however, is nearly as difficult. Unemployment has been a serious issue in Shatila almost since its establishment, but in recent years the situation has worsened considerably, as the war in neighboring Syria has caused an influx of over one million refugees in Lebanon (1), which has a population of under five million. In March of 2015, Al Jazeera reported that the government of Lebanon has not set up any formal refugee camps for the refugees, and a large number of the refugees have made their way to the Palestinian camps, where it is cheaper to live. In addition, many of the refugees from Syria are themselves Palestinian refugees from 1948 and tend to gravitate to areas inhabited by their countrymen. Since the war began, Shatila has seen its population grow from 20,000 to an estimated 40,000, as reported by the Guardian in May of 2015, and the associated problems, such as overcrowdedness and unemployment, have worsened significantly. Amal’s relatives are among those who have fled the Palestinian refugee camps in Syria for the relative safety of Shatila. “It is strange. They dream of returning to their homes in Syria, but when they are in Syria, they dream of returning to their homes in Palestine. 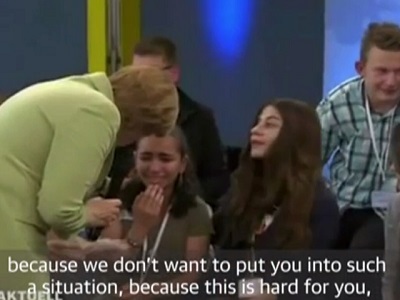 They are double refugees. Amal takes me on a tour of her home. I follow her quietly into one of the bedrooms, trying not disturb her youngest brother, who is sleeping on one of the mattresses lying on the floor, his arm hugging a pillow. She sadly points out the bedroom window at the heap of plastic bottles and mounds of garbage lying on the ground just outside. Finding employment is merely one of the many uncertainties faced by Shatila’s residents. Palestinians are not allowed to own property anywhere in the country. This law is not enforced in the camps, and ownership of apartments or houses is generally accepted. It does beg the question, however, of what will happen when Shatila’s land will be returned to the Lebanese government 99 years after the camp was established. 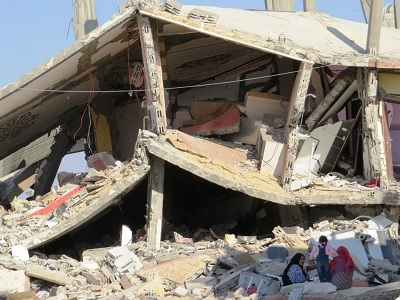 Will Amal’s family, along with countless others, lose their homes? Despite everything, Amal considers herself to be one of the lucky ones, as she is able to go to university. She is studying to be a teacher of English as a Foreign Language, and her English is excellent. She also has a fiancé, a young man who does not live in a refugee camp, which means she will be leaving Shatila when she is married. The sleeping arrangements for the family are simple. The parents occupy one bedroom, the three girls sleep in the other, while the four brothers spread out in the living room. “It is not a problem,” Amal says with a smile. She does not mention the other discomforts that all residents of the camp are forced to deal with on a daily basis – the electricity blackouts that occur every day (usually lasting at least ten hours), the salty, foul-smelling water that emerges from the taps, the ubiquitous noisy motorbikes that whizz through the narrow alleyways and threaten to cut down anyone in their way, or the jumbles of potentially deadly electrical wires that hang low to the ground everywhere. Beyond the problems of the camp, Amal and her family dream constantly of the return to Palestine, to Jaffa, from where they were expelled 67 years ago. 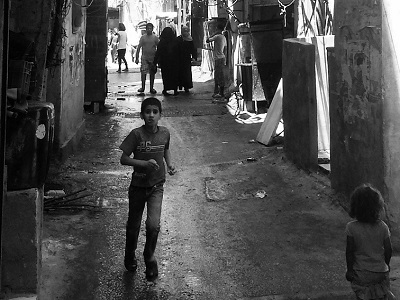 When I first arrived in Shatila two weeks ago, I was unsure about telling the residents of the camp that I had been to Palestine. I thought it might sadden them to be reminded of the fact that a Westerner like me could visit it, while they, the rightful owners of the land, could not. But eventually I realized that it actually made them happy to hear news about Palestine. And so it was with Amal. As I began to talk about my trip to her homeland, a wide smile spread across her face. I found myself wishing that I could tell her about her hometown of Jaffa and its famous oranges, but unfortunately I had never been there. Perhaps one day she would be able to tell me exactly what those oranges taste like. – Richard Hardigan contributed this article to PalestineChronicle.com. Congratulations on your article today in Counterpunch. I have a textbook I would like to send you and also there is an accompanying lecture series on You Tube at the ABC’s of Communism channel.